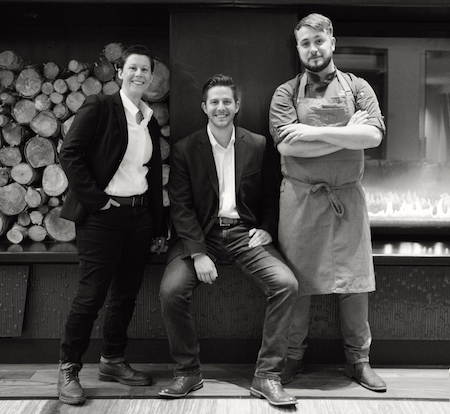 Novi’s Toasted Oak Grill & Market announced Wednesday Ken Miller as executive chef, Ferris Anthony as director of food and beverage, and Jackie Phillips as restaurant manager. Located at 27790 Novi Road, the Toasted Oak Grill menu focuses on fresh and original ingredients. Handpicked Michigan-made products, charcuterie, cheeses, and fine wines are featured at the Toasted Oak Market. As executive chef, Miller is in the process of introducing a new menu, slated to include seasonal selections and popular dishes. In addition to the keeping with the restaurant’s pasture-to-fork philosophy, the new menu will focus on sharable selections. Miller attended Le Cordon Bleu College of Culinary Arts in Chicago. In addition to the Toasted Oak, he has worked at Kuma’s Corner in Chicago, Nomi at Chicago’s Park Hyatt, Chicago’s Arcadia, Cork in Flint, and The Apparatus Room at the Detroit Foundation Hotel. Anthony is a Schoolcraft College Culinary Arts Program graduate and received a bachelor’s degree from Madonna University in hospitality management. Beginning his career at Guernsey Farms Dairy in the role of restaurant manager, he later served as restaurant supervisor at the Country Club of Detroit, and then as Concord Hospitality Enterprises/Marriott Food and Beverage task force member, where he assisted with openings and operations of Ohio restaurants such as Buckeye Bourbon House and Dewberry 1850. He has worked at The Baronette Renaissance Hotel and Toasted Oak Grill & Market since 2014 in roles including banquet cook, restaurant supervisor, banquet manager, and now director of food and beverage.